 Mass cancellations - now in Scotland too. A giant bus that straddles over traffic and drives over the top of other vehicles up to 2m tall (or lets them drive underneath it). Seems to run on rails, so perhaps not really a bus. Looks like something out of Thunderbirds. Why is it being called a bus? It runs on tracks down the road, so it's a form of tram. It looks nothing like a normal tram or bus, so why name it for something it doesn't resemble in either way? I agree. I can think of a few possible reasons: Perhaps Chinese does not have distinct words for bus and tram (if this sounds unlikely, bear in mind that some languages have one word for car and bus)? Perhaps the journalists writing these reports assume their readers are more familiar with buses than trams (particularly as they all seem to be written by Americans)? Perhaps it's a reversion to the original, more general, sense of omnibus? Perhaps it's by comparison to phrases such as 'water bus'? I've no idea whether any of these are correct, but equally, it's not the most important point. Looks like the Chinese have noticed some of the problems we spotted! IT STARTED with a fanfare, albeit with a bemused tone. “China’s bonkers elevated bus is real and already on the road,” announced Wired on August 3rd. It was not only Wired. Headlines and half-page photos quickly filled the world’s newspapers and webpages, trumpeting the Transit Elevated Bus (TEB, pictured), a magnificent-looking contraption that, it was claimed, would straddle China’s streets, allowing cars to pass underneath it. 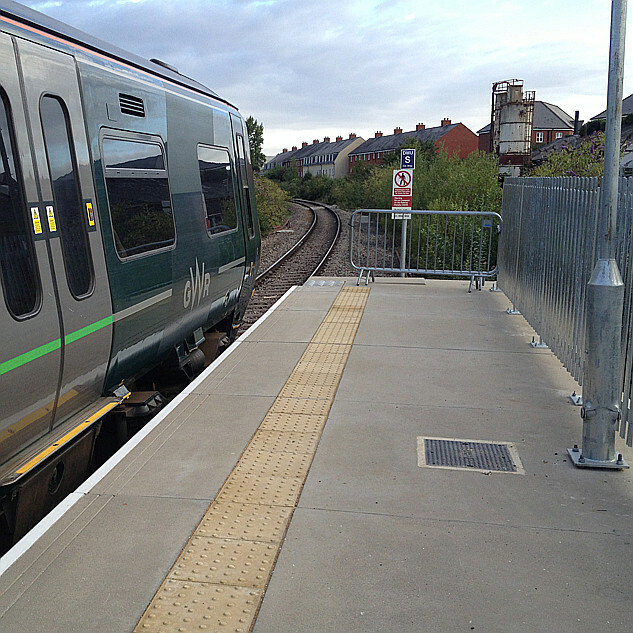 Passengers could hop on and off from elevated platforms. This would allow the bus to cruise above the traffic jams that plague roads in urban China, while lessening the gridlock for others. Befitting such a clever, mad-cap idea, the reaction was breathless. Although it crawled along on its inaugural journey, speeds would eventually reach 40 miles per hour, it was said, using rails running either side of the road. Its 300 passengers (1,200, once a few buses were linked together like train carriages) would travel in comfort, in something akin to an airport lounge. Of course, only in China could such a marvellous project get off the ground. All of a sudden, though, the tone of the headlines changed. Something was amiss. “China blasts its own radical public transport amid safety concerns”, reported the Daily Mail. Some claimed that there had been no test journey after all. Important questions were left unanswered. How would such a bus pass beneath low bridges? What if a tall vehicle wanted to overtake it (the clearance was just seven feet)? How could it warn cars when it wanted to change lanes? How could it go round 90-degree bends? It has something of the W Heath Robinson about it, doesn't it? I have said that the best public transport can be found in countries run by totalitarian regimes. It seems that also applies to the strangest, too. The first accident will be interesting. I'm not sure the concept has much of a future, unless someone is prepared to design a new city to fit it. unless someone is prepared to design a new city to fit it. I wouldn't discount that possibility in China! This bizarre sounding project has now failed. The prototype vehicle is abandoned and various proponents of the scheme have been arrested under suspicion of fraud. Could they come to Bristol and sort out MetroBust next, please? Who - the fraudsters or the authorities ? Hm, not sure. Either would do a better job.